Thanks to the analytics.js library, AFS Analytics, web analytics solution, offers numerous features making the tracking of an E-Commerce website a breeze. This means, the capture of transactions and the generation of analyzes, to monitor the performance and the evolution of the generated revenues. The installation of AFS Analytics can boost the efficiency and return on investment of online shops. This guide explains how to use the various e-commerce functions offered by the analytics.js library. Revenue generated for each product. List and quantity of products sold. Details of transactions by store or department. Return on investment of marketing campaigns. Cost of acquiring a customer. Number of days leading to a transaction. Thanks to all these analyzes, you will see in real time the trends of the day, the duds and the items that sell well. What are the steps of a successful transaction? Let's briefly review the steps involved in sending a transaction to AFS Analytics. 1. The visitor validates the order. 2. 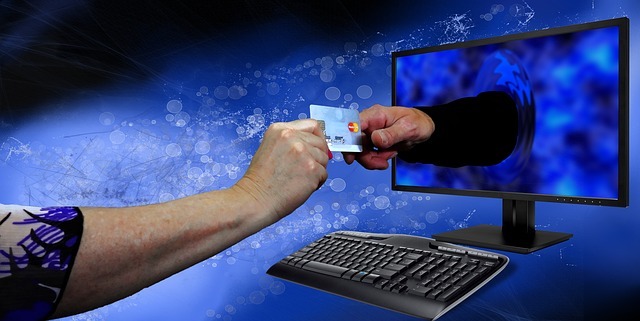 Payment processing through your e-commerce platform. This is verification and acceptance of payment. 3. The transaction is accepted; the buyer is redirected to the thank you page of your website. This page can be generated by the e-commerce platform and displayed by your site. Note: The "thank you page" is very important because it is on this page that you must add the AFS Analytics code for sending data. Once the data is received by AFS, it will be processed in real time. The transmission of transaction data takes place in three steps. You must first verify that the AFS Analytics tracking code is present on the page. The first step is to specify the transaction data. We use the command SET followed by the keyword addTransaction. The third argument is an object detailing the transaction. The addTransaction fields Only the id, affiliation and revenue fields are required. If the tax or shipping fields are not filled in, they will be set with the value 0. currency defaults to the currency in your AFS Analytics account. This is the unique identifier of the transaction. If the value is -1, 0 or auto. AFS Analytics will generate a unique identifier. This field specifies the total revenue of the transaction excluding tax and excluding shipping costs. AFS calculates the total of the transaction by adding revenue + shipping + tax. This is a numeric value, the decimal part is separated by a period (for example: 118.95). This field specifies the transport cost. This is a numeric value, the decimal part is separated by a point. This field indicates the currency of the transaction. It's the ISO code 4217, which is a 3-letter code. For example: USD for US Dollar, EUR for EURO and GBP for pound sterling. 2. Add a list of items ordered. Once you have specified the transaction details, you can specify the items ordered. We use the command set followed by the keyword addItem. The third argument is an object detailing the product specifications. The id field is the identifier of the transaction. The identifier is therefore the same as the one set for addTransaction. If ID has a value of 0 or -1, the identifier will be initialized with the value set previously in addTransaction. This field specifies the name of the item. This field specifies the reference or code of the item. This field specifies the category in which the item belongs. This field specifies the price of the item by unit. The decimal part must be separated by a dot. This field specifies the quantity purchased. This is an integer value. The fields id and name are required. The price and quantity fields are optional but strongly recommended. If they are not filled in, the price will be set to0 and the quantity to 1. The fields SKU and category are recommended. The currency field is optional. Once the whole data is specified, it's time to send it to AFS Analytics. This is the last step and sending is done using the command SEND followed by the keyword ecommerce. The callback and params arguments are optional. Note: The cookie placed by AFS Analytics on your visitors’ computer is accessible only from your own domain name. If the thank you page is hosted by the payment platform, you must add the AFS Analytics code on this page and specify the visitor's cookie. Generally speaking, when the page is generated by the payment platform, you can add code and retrieve variables previously passed to the payment platform. // record the cookie in the visitorCookie variable. When sending the data to the e-commerce platform, you add a variable containing the cookie. Consult the guides of your payment platform to learn how personal variables are transmitted. Recovery and transmission of the visitorCookie variable to AFS Analytics on the thank you page hosted by the payment platform. // code on the page on the 'thank page' hosted by the payment platform. aa('create', 'XXXXXXXX', visitorCookie); //Tip: we send the cookie to AFS Analytics.